* Added Faker prompts to final round scoring reveal display. * Added labels to Memory mini-game in Trivia Murder Party. * Added a few audio explanations in Trivia Murder Party and Tee K.O. * Fixed a few animations in Guesspionage and Tee K.O. 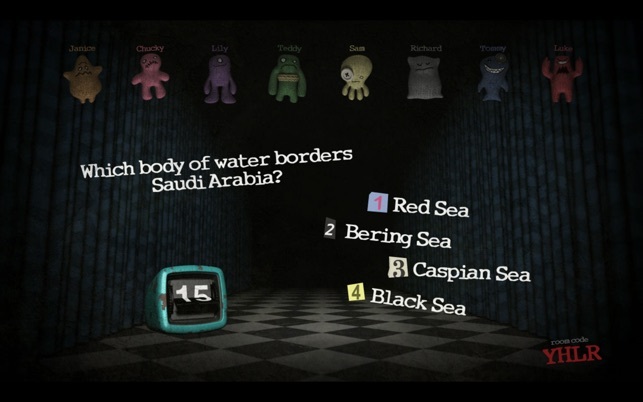 * Fixed a few questions in Trivia Murder Party and Quiplash 2. * Fixed some issues with Twitch Leaderboard statistics tracking. I almost didnt buy this game because of that one star review saying they couldn’t finish a game? We played these games for almost 6 hours straight. These are hilarious and will definately be our fall back plans for the weekends. I wish I had my money back. I tried playing a few games with people at my house. We couldn’t finish any of the games. 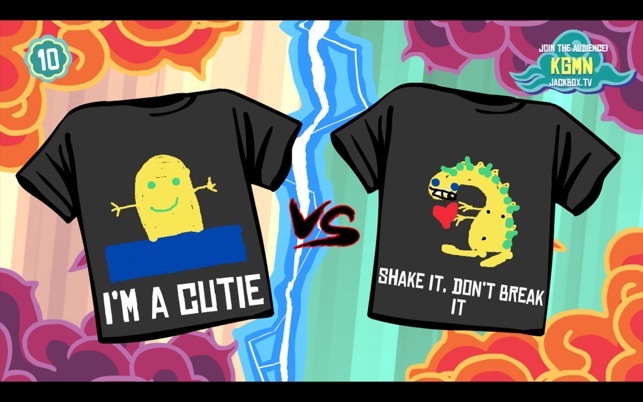 I then bought Jackbox Party Pack 2 and the same thing happened. 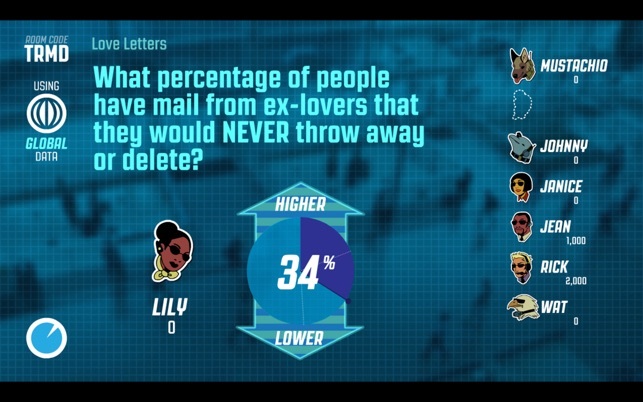 I love Jackbox Party Pack 1 and I’ve never had issues with it. 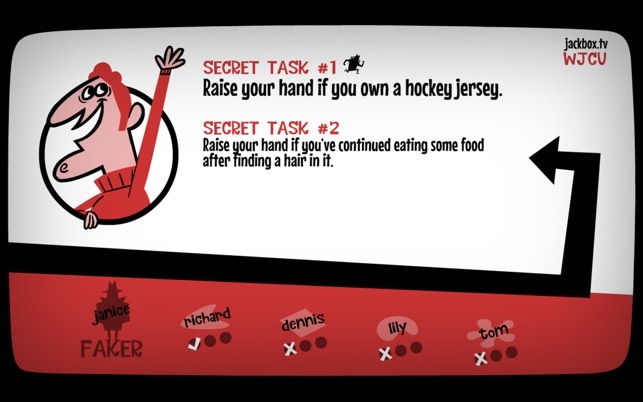 We started playing Party Pack 1 and it worked fine but we knew most of the answers because we had played it so often. What a dissapointment. I’m going to post the same review on Party Pack 2. 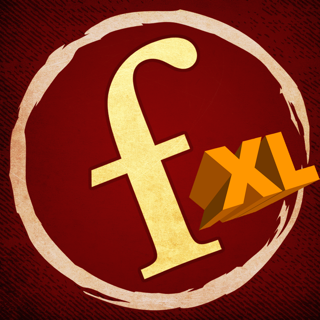 Please visit help.jackboxgames.com and we'll help you sort the issue out. It’s so fun for parties! I just love it and you can also play it with your little siblings. we always have such a blast playing it and it’s a must at every family gathering.